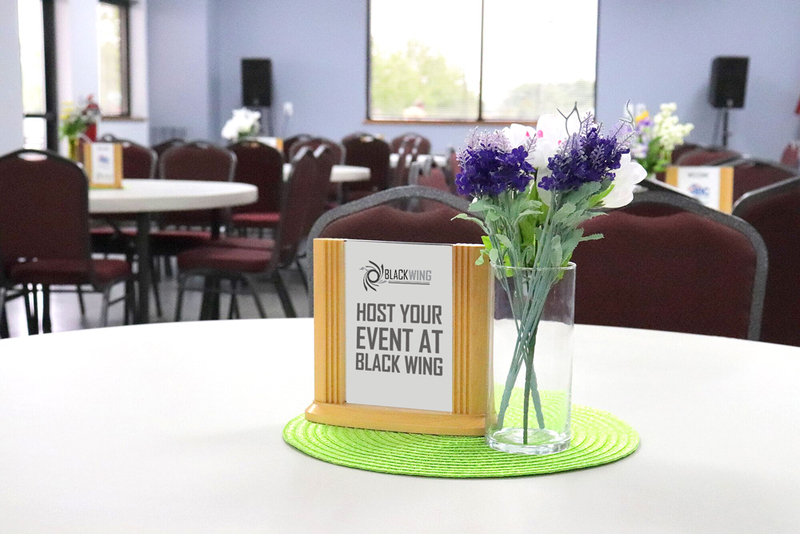 Host your next event at Black Wing! We know that planning an event can be complicated, trying to book the perfect venue and coordinate fun activities for your coworkers and friends. We take the hassle out of planning events. Our team will work with you every step of the way. We have all-inclusive packages, catering options and shooting packages for all experience levels! Our priority is safety! We have procedures and protocol that are strictly enforced, creating a very safe and comfortable environment. We can recognize a sharp shooter when we see one. But, we love seeing newcomers at Black Wing, experiencing the thrill of shooting for the first time. All experience levels are welcome and encouraged! This is what makes Black Wing the perfect fit for your event. Tired of bowling or golf? We've heard it before. If you're looking for something new and truly exciting, Come to Black Wing!